WHAT IS A SOLO DRESS/VEST? 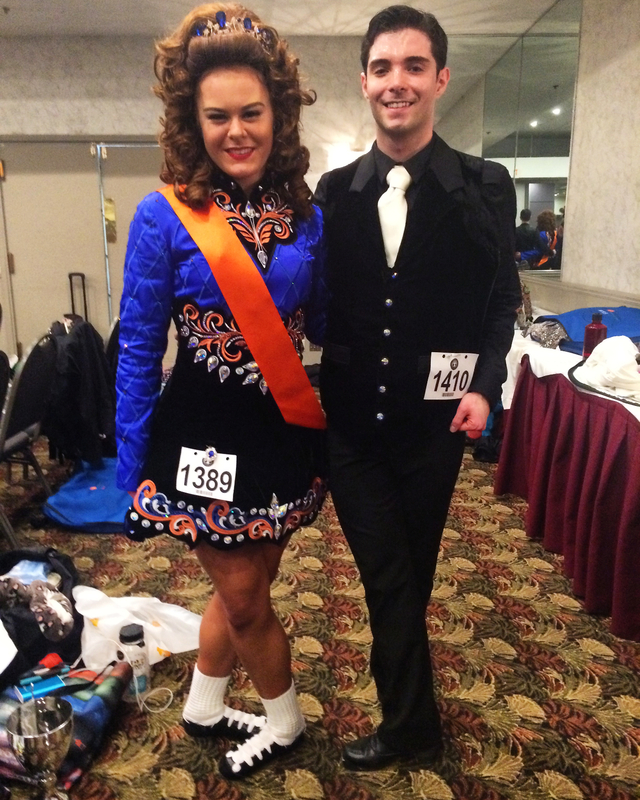 A Solo dress (girls) or vest (boys) is worn by dancers competing in Feiseanna (competitions) at Novice level or higher. They are purchased independently by each dancer. 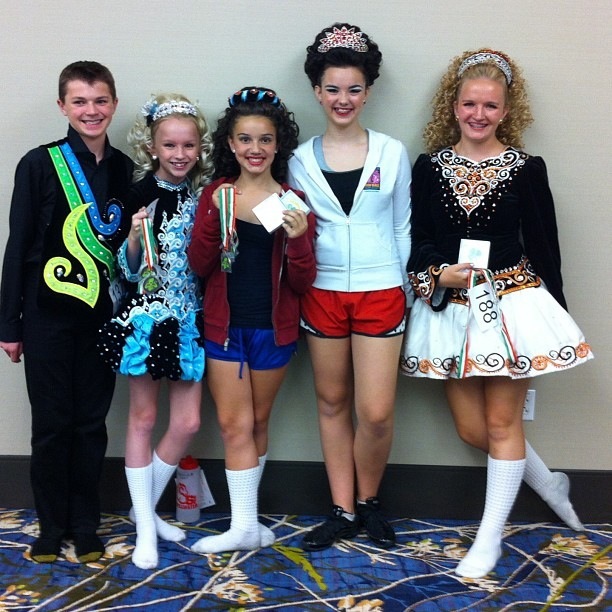 If your dancer has qualified to wear a solo costume there are several websites in which to select a used or new one. Solo dresses are very individual statements, and can be found used or new. Some designers will let you help design your own new dress. They can also be found used at feiseanna anywhere from $300 and up. If you are purchasing a costume, you must submit a photo of it (or its design sketch) for approval to Natalie at 612-703-2167 or to natalie@osheairishdance.com. WHO NEEDS A SOLO VESTS/COSTUMES? FOR FEISING DANCERS placing into majority of Novice Dance competitions. Solos are required for any Prizewinner dance or above. WHEN I NEED A SOLO, WHAT DOES THIS INVOLVE? We want you to find something that meets your family’s needs in budget, and that reflects your individuality and style... We know, of course, the first question is always ‘How much?”. A solo is like buying your first car; there is a wide range of good and bad. You want to make an investment that will be right for what you need now, and will hold its value for a trade in. As you advance into the next solo, you will hopefully be able to retain some of that investment, and with a supplement, improve your make and model. 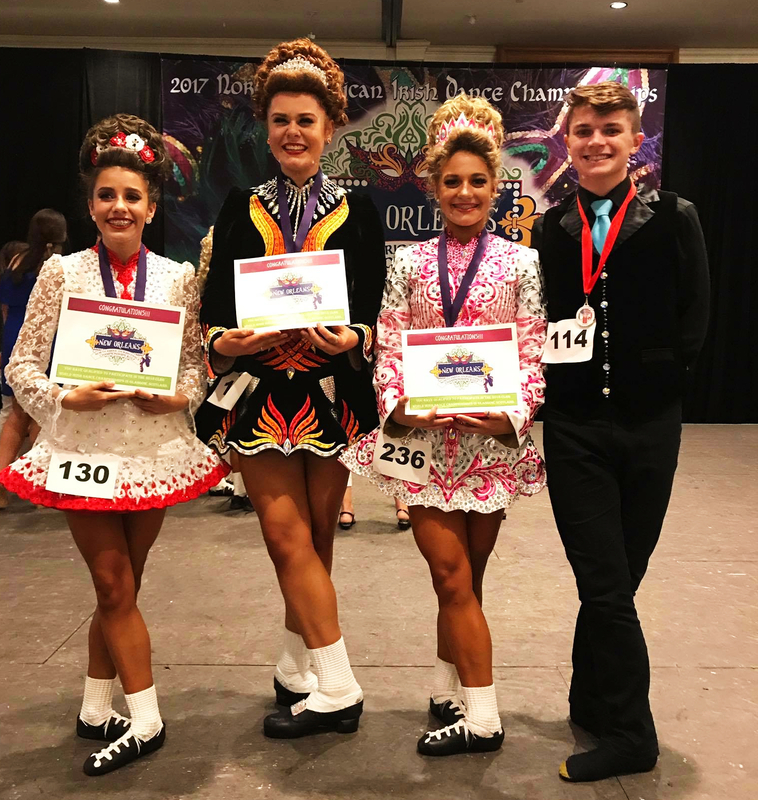 While a dance competition is STILL about the dancing - like it or not, a solo dress reflects to the judges and other dance world folks your “commitment” to dance, and like the technique of Irish Dance itself, it is all in the details. A dress that reflects current trends reflects you as a “contender”. As much as we don’t like it, Cormac and I explain it this way: judges are human, and competitions get tedious. Judges are often looking to see what stands out. Sadly, dresses have become a shorthand for how serious you are... While you still need the skills, a solo does make you memorable above and beyond your dancing. We have seen the results to prove this. To get a sense of what would be a good investment, we recommend you surf the web to see the latest styles and cuts. The latest major championships are the best place to see what current champions (who set the trends) are wearing. WHAT ARE THE RULES AND REGULATIONS REGARDING SOLOS? c. DO seek something appropriate to your dancer’s level and abilities. Entry level (Novice) solo dresses & vestscan be quite simple - Prizewinner needs to be getting more serious. For any Championship level, they shouldbe no more than 1-2 years old & following current trends. HOW DO I FIND A SOLO COSTUME? You may always search online– there are more options than I can include here. ANYONE with a solo dress or vest to sell or exchange is encouraged to bring it in. We will always try to help fit it to someone and sell it. New costumes can be costly, but they are custom fitted, and you generally have much more personal choice in the details. New makers are constantly cropping up, but they often run into big learning curves in their first few years. HOW DO I ADAPT MY SOLO COSTUME? Wigs can be customized to compliment the dancer in that particular costume. For wigs, we recommend Camelia Rose USA - our field rep is Kelly Schields Kzirishcurlz@att.net 630-247-6519 She has a FaceBook Page too! We will be holding workshops where we review costumes with both teams and solo dancers. I will aim to schedule them at the start of the year in advance of each major championship or costume event. Please refer to the OID calendar for the next open date, or see Natalie for help.